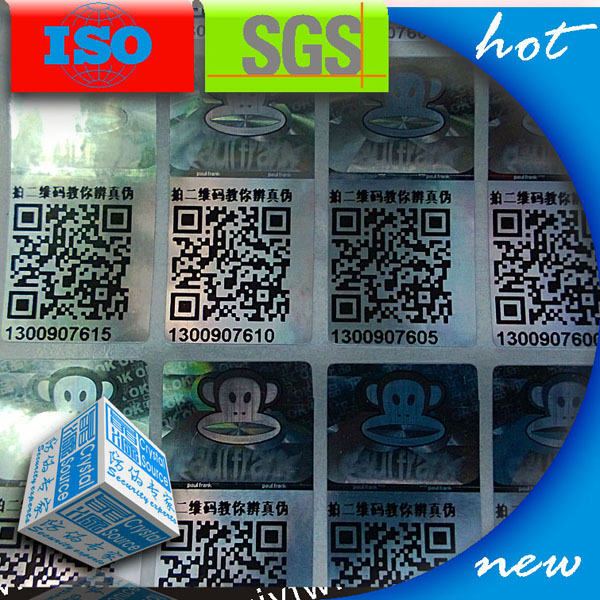 About Qr Code Hologram Sticker material,Usually we use PET material. 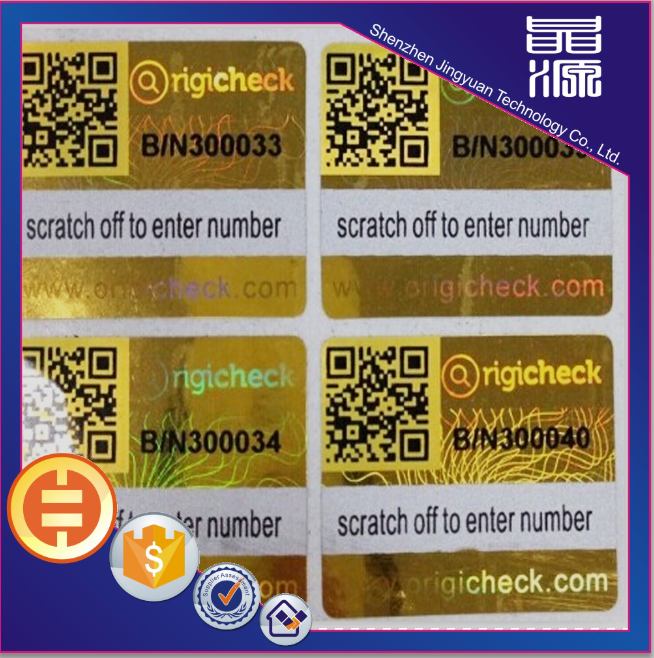 The thickness is 25 micron, 30 micron, other thickness like 50 micron, 100 micron are also available. 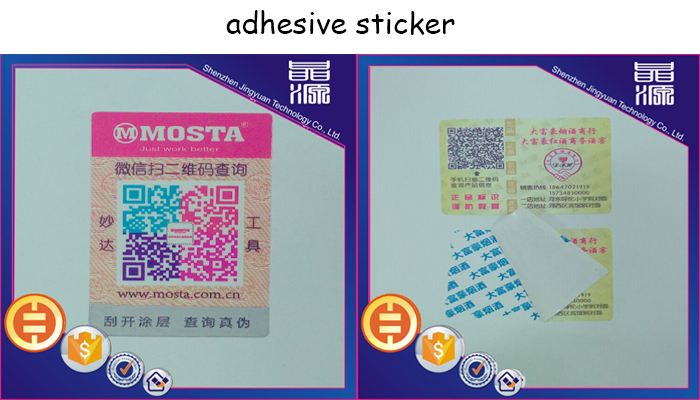 we can make it like VOID, honeycomb or customized logo. 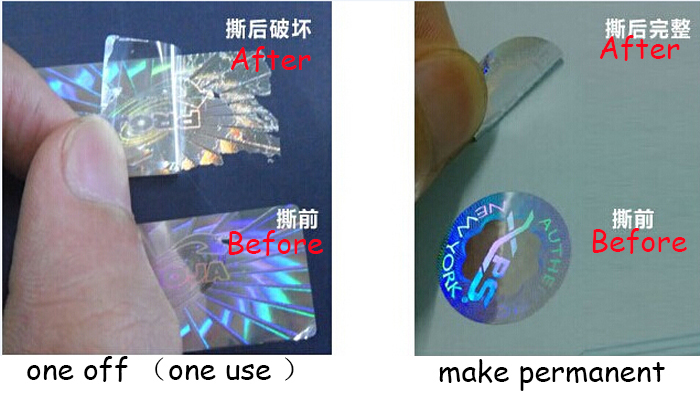 Finishing :Die cutting to shape , UV, gloss varnishing,perforating etc. 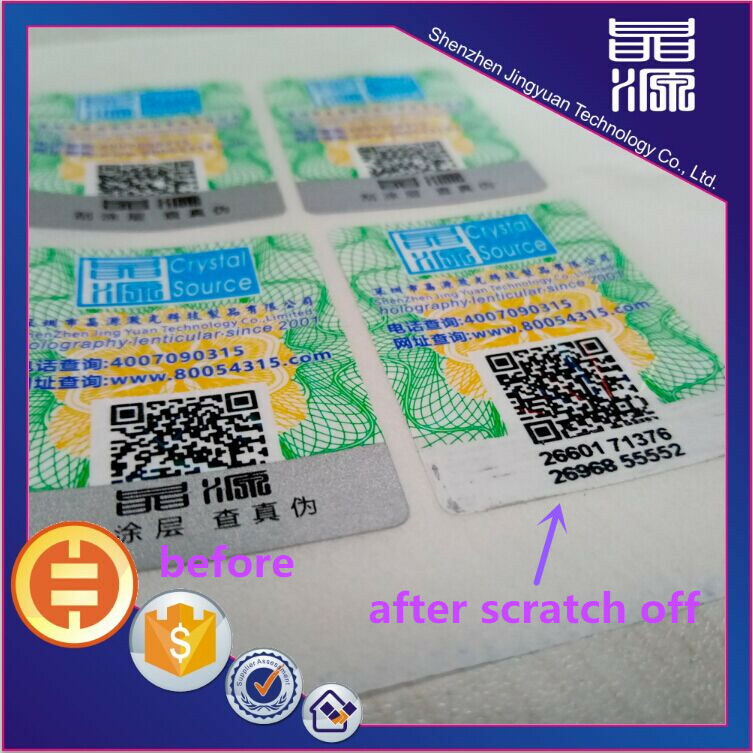 (2) goods will be ready within 2weeks after receiving the desposit payment. 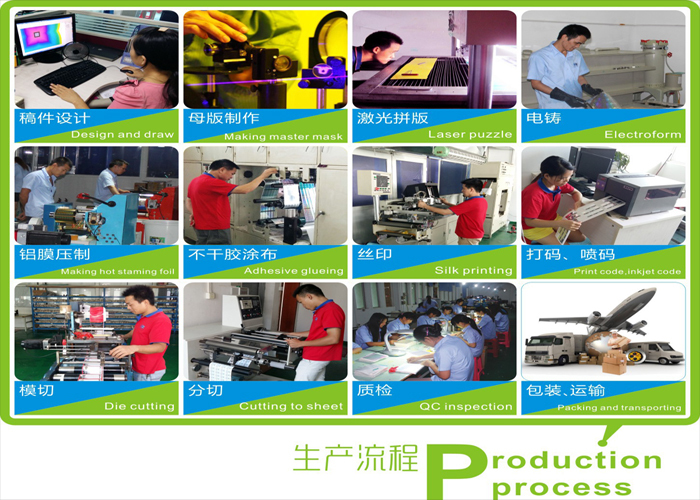 (3) pictures or the producing process will be send to you then. 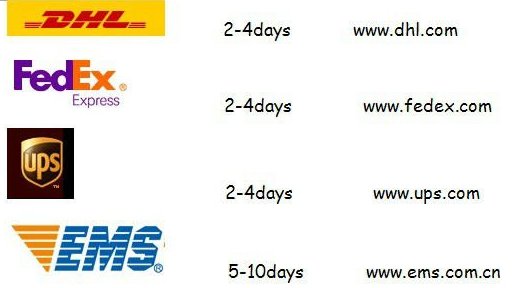 (4) If you choose way of express-ready product picutures and tracking number will be provided to you after goods dispatched. 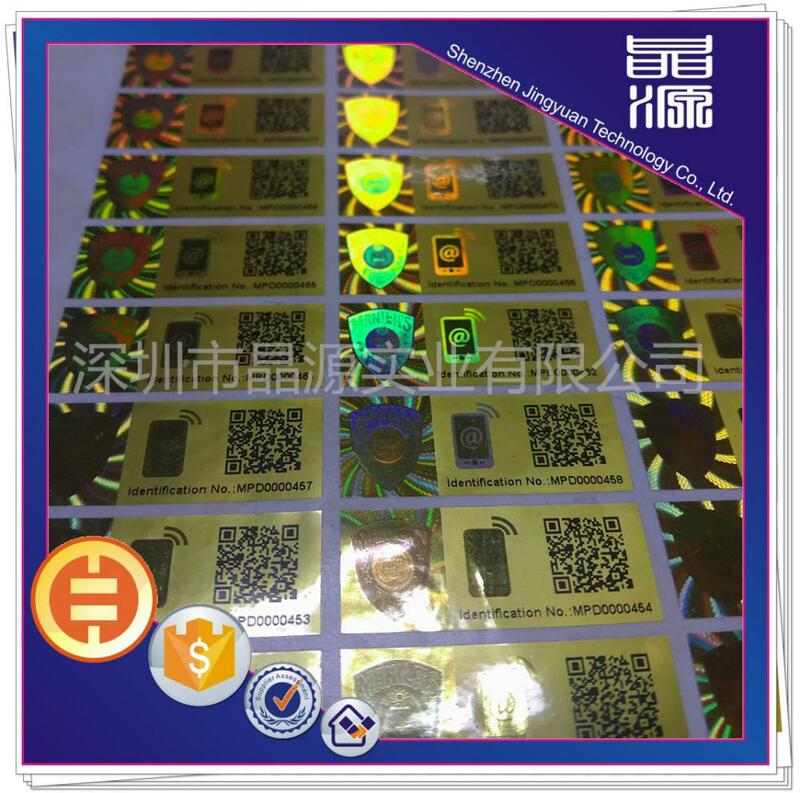 Looking for ideal QR Code Hologram Sticker Manufacturer & supplier ? We have a wide selection at great prices to help you get creative. 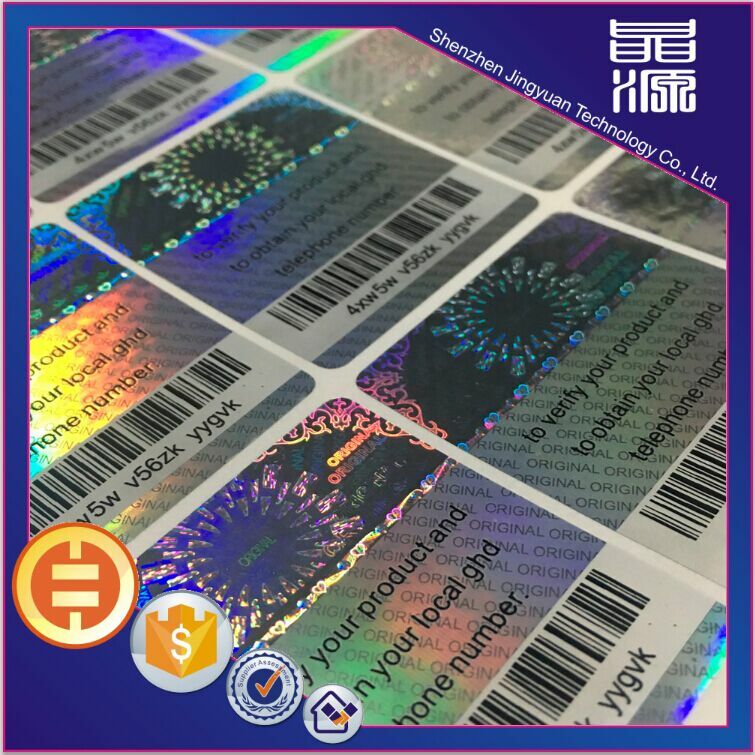 All the QR Code Hologram Label are quality guaranteed. 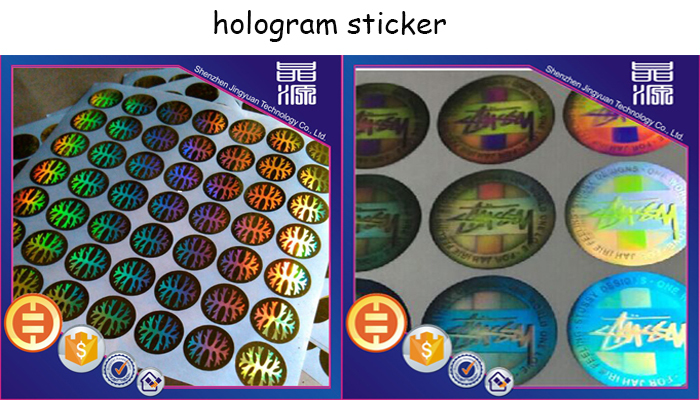 We are China Origin Factory of QR Code Hologram Label Sticker. If you have any question, please feel free to contact us. 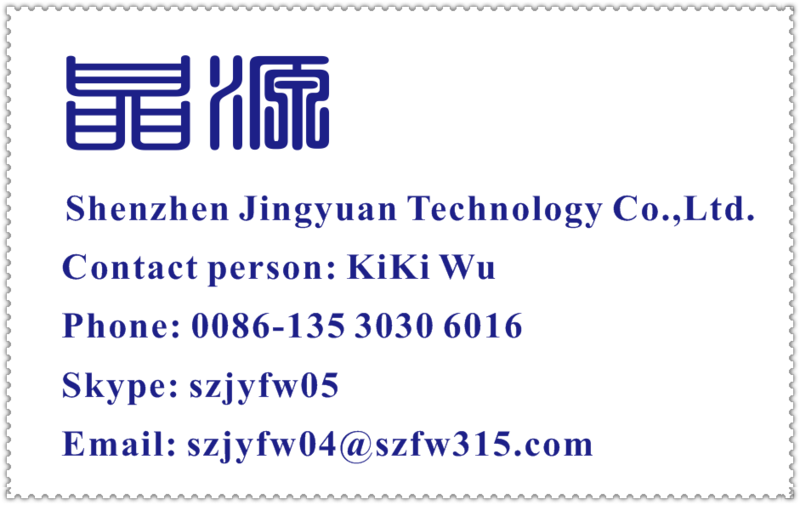 Copyright © 2019 Shenzhen Jingyuan Technology Co., Ltd. All rights reserved.